Many people understand that cryptocurrency is “digital currency”. While cryptocurrency isn’t really being used as a currency on the market just yet, many people have begun to buy into it without understanding the underlying technology behind it. In short, cryptocurrency is an encrypted, decentralized digital currency transferred between others and confirmed in a public ledger via a process known as mining. This led to Bitcoin, Litecoin, and Ethereum, the main three coins listed on Coinbase, have garnered massive gains in recent months. Bitcoin, one of the most well-known cryptocurrencies out there, was created in 2009 by Satoshi Nakamoto. It was Bitcoin that paved the way for the creation of other cryptocurrencies and digital money to grow in popularity. These days, many people all around the world invest in cryptocurrencies. This growing popularity means it’s more important than ever for digital currencies and exchanges to provide the highest level of security by using private keys. Coins like Ethereum have allowed for great technological advancements to be made, such as the use of smart contracts. An ICO, also known as an initial coin offering, is essentially a means of crowdfunding where a company offers a new coin in exchange for fiat currency, such as the U.S. dollar or the Euro, or a digital currency. I’m going to explain what cryptocurrency is and the blockchain technology driving it. We will start with blockchain, which is the main tech behind cryptos. Blockchain is a digital ledger in which transactions made in bitcoin or another cryptocurrency are recorded chronologically and publicly. This allows digital information to be distributed, but NOT COPIED. It was originally created and intended for Bitcoin, but the tech community is now finding other potential uses for the technology. You don’t necessarily need to fully understand how blockchain works, but a basic knowledge will help you realize why this technology is revolutionary. In addition, NOT ALL cryptocurrency are built on the blockchain. 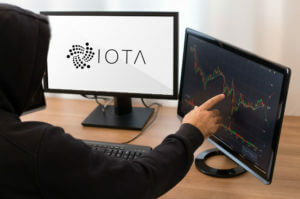 For example, IOTA uses a network called tangle which has its pros and cons. Blockchain is designed to be decentralized. The global network of computers (nodes) use the blockchain to jointly manage the Bitcoin database transactions. This means Bitcoin is managed by the network of nodes and not a central location. Decentralization is basically the network operating on a peer-to-peer basis. The blockchain is made up of a bunch of computing nodes. A node is referred to as a computer that is connected to the blockchain using a client that performs validating and relaying transaction tasks. Each individual node is an “administrator” of the blockchain. A node joins the network voluntarily which creates a sense of decentralization. Each node has an incentive for participating in the blockchain network. For example, in bitcoins network, the incentive is “mining” bitcoins. To understand the blockchain network, we will use bitcoin mining as our example. This way, you will have a basic understanding of the crypto network as a whole. This mining isn’t exactly taking a pick to some rock. Nodes participating in Bitcoin are “mining” to win some new Bitcoin. What “mining” really means is that computers (nodes) are competing to win bitcoin by solving computational puzzles in the network. Mining computers are collecting a few hundred pending bitcoin transactions ( a block) about every 10 minutes and create a mathematical puzzle. 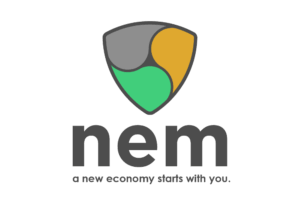 The first miner to solve the solution announces it to the network. After that, the other miners are checking whether the sender of the funds has the right to spend the money and if the solution to the mathematical solution to the puzzle is correct. If enough of the other computers grant approval of those transactions, the block then becomes cryptographically added to the public ledger. The miners then move onto the next set of transactions, or next block. The miner then gets a set of bitcoin as a reward but only after the next 99 blocks are added to the ledger. This way, miners have incentive to participate in the network. Forcing the miners to complete the next 99 blocks to receive payment for the early blocks they completed provides extra protection against double spending a bitcoin. Today, mining bitcoin has become extremely hard. You need massive amounts of computing power to process these mathematical puzzles. Many people can’t afford hundreds of thousands of dollars worth of equipment. Individual miners usually team up to create a “pool” of miners. This pool of miners put together their computing power to help solve problems faster. The only problem is that their bitcoin rewards are distributed between them all. So it may be faster to gain reward, but the reward is much smaller. There are hundreds of cryptocurrencies out there right now. Many coin creators try to take advantage of people who want to participate in the investments. Then there are coins who have no real value. However, there are some companies who have taken to the blockchain to help solve real-world problems (such as Ripple revolutionizing the banking industry). The blockchain is the next generation of technology that will help revolutionize the way we use and transfer data. Coins like Bitcoin (BTC), Ethereum (ETH), and Litecoin (LTC) have taken the digital currency and blockchain technology industry by storm and show no signs of slowing down.